Sulaymaniyah or Slemany, (Kurdish: ??????? / Silêmanî, Ottoman Turkish: ) is a city in Iraqi Kurdistan. Sulaymaniyah is surrounded by the Azmer Range, Goyija Range and the Qaiwan Range in the northeast, Baranan Mountain in the south and the Tasluja Hills in the west. The city has a semi-arid climate with very hot dry summers and cool wet winters. Sulaymaniyah served as the capital of the historic Kurdish principality of Baban from 1784 to 1850. From its foundation Sulaymaniyah was always a center of great poets, writers, historians, politicians, scholars and singers, such as Nalî, Mahwi, Piramerd, Muhammed Emin Zeki Bey, Taufiq Wahby, Sherko Bekas, Bachtyar Ali, Mahmud Barzanji, Mawlawi, Mawlânâ Khâlid and Mustafa Zihni Pasha. The region of Sulaymaniyah was known as Zamwa prior to the foundation of the modern city in 1784. The capital of the Kurdish Baban principality (1649–1850), before Sulaymaniyah was a territory named "Qelaçiwalan". At the time of the Babanis rule there were major conflicts between the Safavid dynasty and the Ottoman Empire. Qelaçiwalan became a battleground for the two rivals. Being of strategic importance and lying deep inside Safavid territory, there was concern that Qelaçiwalan would be attacked and captured if the Babanies did not give the Safavids military support, as both Sultan Mahmud II and Nadir Shah were trying to gain the support of the dispersed Kurdish Emirates. This obliged Mahmud Pasha of Baban in 1781 to think about moving the center of its Emirate to another safer place. He chose Melkendî, then a village but now a district in central Sulaymaniyah, to construct a number of Serahs for his political and armed units. In 1783, Ibrahim Pasha of Baban became ruler of the Emirate and began the construction of a new city which would become the capital of the Baban Emirate. In 1784 he finished erecting a number of palaces for trade called Qeyserîs and bazaars, which were also used as baths, and began inviting people from the surrounding villages and Emirates to move to the newly established city. Soon Melkendî, which was originally intended to be the city itself, instead became one of its quarters and still is today. Sulaymaniyah has since its foundation been the center of Kurdish nationalism, and it was from here that Mahmud Barzanji sparked the first rebellion against the British occupation on 22 May 1919 with the arrest of British officials in Sulaymaniyah. He attempted to declare an independent Kingdom of Kurdistan on 10 October 1921, issuing a statement in Sulaymaniyah, then the capital of Kurdistan, to establish the Kingdom of Kurdistan. Sheikh Mahmud Barzanji, now backed by the British, declared himself King of the Kingdom of Kurdistan. The British occupation declared Sheikh Mahmud king in order to persuade the residents of Sulaymaniyah to stop their rebellion, but Sheikh Mahmud ruled independently from the British and wanted them out of the kingdom. As a result, in the same year he was exiled for several years to the Andaman islands in India by the British, only to return and raise another unsuccessful rebellion in 1923, centered in Sulaymaniyah. In January 1926 the League of Nations gave the mandate over the territory to Iraq, with the provision for special rights for Kurds. In 1930-1931, Sheikh Mahmud Barzanji made his last unsuccessful attempt to free Kurdistan. He retreated into the mountains and later signed a peace accord with the Iraqi government and settled in the new Iraq in 1932. The first and oldest neighborhood in the city is called "Goizha" (Kurdish: Goyija), which was named after the mountain overlooking the city. Sabûnkaran was of the citys first neighborhoods; its name means "those who make soap" in Kurdish and its residents were mainly involved in the soap industry. Cûlekan, the Jewish neighborhood, was mainly inhabited by Kurdish Jews. In the 1950s, after the establishment of the state of Israel, most of its inhabitants migrated to the newly created state. On 23 April 1982, during the Iran-Iraq War, a demonstration broke out in the city against the arrests and torture of the citys youths who were accused of planning a revolt against the ruling Arab Baath regime. Following the Gulf War, a series of nationwide uprisings broke out across Iraq against the Baathist rule, including the 1991 uprising in Sulaymaniyah, led by the Kurdish separatist parties KDP and PUK. 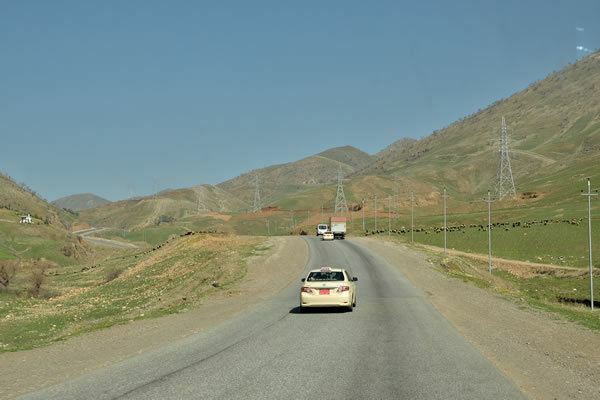 Since its successful liberation in 1991, Sulaymaniyah has been administered by the Kurdish Government(KRG) and serves as a principal metropolis of northern Iraq. The city is located in northern Iraq. Of the main population centers in the country, it is characterized by its cooler summer temperatures and its rainier winters. Average temperatures range from 0 °C (32 °F) to 39 °C (102 °F). In the winters, there can be a significant amount of snow. The city is actually known as the "windy city" in the region, due to the mountains that surround it. To the north, there are Goizha mountains and to the south the Chwarta, forcing the air in the city to be condensed and compacted and often quite rainy. Snow is not frequent in winter, but snow has fallen in Sulaymaniyah in January 2008, January 2010, February 2010, February 2011, March 2012, January 2013, and January 2015. Köppen-Geiger climate classification system classifies its climate as dry-summer subtropical (Csa). The Sulaymaniyah Governorate has much fertile land such as the Sharazur and Bitwen plains which are considered two of the most fertile plains in the Middle East. Historically, Sulaymaniyah was mainly agricultural and one of the major suppliers of wheat and other agricultural products. Its role declined due to the policies of Saddam Hussein aimed at reducing the citys economic potential as it was a center of the Kurdish revolution. Sulaymaniyah is considered the center of the Sorani Kurdish culture in Kurdistan. It is recognized officially as the cultural capital of South Kurdistan. Development of Sorani as a modern literary language started in this city in the early 19th century, when many Kurdish poets such as Nalî, Piramerd, Muhamed Amin Zaki, Abdulla Goran, Muhamad Salih Dilan, Ahmad Hardi, Ibrahim Ahmad, Sherko Bekas, and Bachtyar Ali published their works. Sulaymaniyah assumes its own style of music which have borrowed from traditions of the city, Muhamad Salih Dilan is widely considered to be the greatest singer from the city and had the greatest role in developing Kurdish maqam. 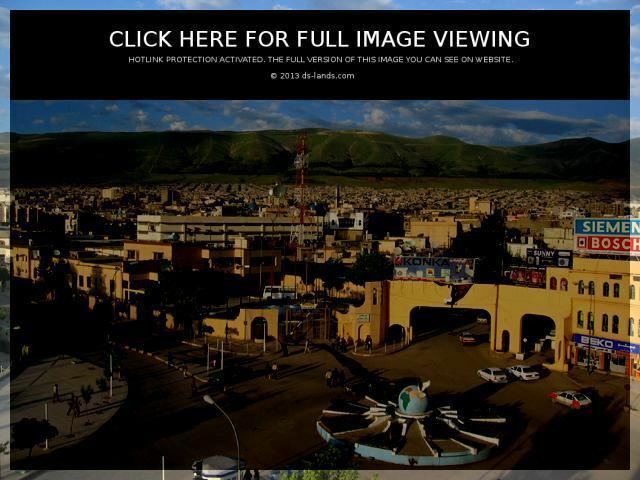 The city is also considered to be the birthplace of modern Kurdish music, There are a number of musical groups formed since 1950, including band Mawlawi (supervised by the artist Qadir Dylan), the band Sulaymaniyah, the band Sulaymaniyah University, the band Sulaymaniyah Girls, led by the Sulaymaniyah Orchestra artist Anwar qaradaghi after the 1991 uprising. Sulaymaniyah is the only city in South Kurdistan that regularly celebrates world music day or Fête de la Musique. 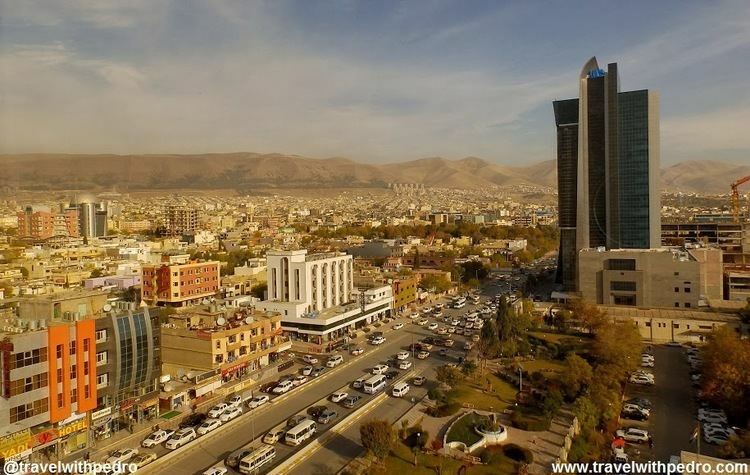 In one trip to the city, a journalist working for the BBC wrote about Sulaymaniyahs distinct culture: "Culture is hugely important to the Kurdish people, especially in Sulaymaniyah, but there is a strong pull to the westmodernisation and consumerismdriven perhaps by the satellite televisions they have had access to since they started running their own affairs...And at the university, students mill around the campus, chattering with each other and doing some last-minute cramming for their exams. The war only stopped lectures for a few weeks. There are probably more women than men and they are happy to air their views to anyone who asks."